Editors Note: What follows originated in 2006, and is repeated in 2017. On September 11, 2006, 2,996 volunteer bloggers joined together for a tribute to the victims of 9/11. Each person payed tribute to a single victim.We honor them by remembering their lives, and not by remembering their murderers. So reads the introductory material on the 2996 Web page. I was assigned James Arthur Greenleaf, Jr. I was the 1357th blogger to sign up for the 2,996 Tribute project. The name of each 9-11 victim was been assigned to a blogger. This project was a very moving one for me. In searching for information on Jim Greenleaf’s life, I was deeply touched by who this young man was. James Arthur Greenleaf, Jr., age 32, native of Waterford, Conn. Mr. Greenleaf was a foreign exchange trader at Carr Futures and died at the World Trade Center. He was a resident of New York, N.Y. Mr. Greenleaf was a 1991 graduate of Connecticut College, he was the son of Mr. And Mrs. James Greenleaf, Sr., and the former husband of Susan Cascio, a 1992 graduate of Connecticut College. Almost 7 months have passed and not a day goes by that I don't think about you. Some days I pretend that I just haven't seen you in long time and that you will be visiting soon. I know that it will be a long time till we see each other again, but it does help on the bad days. Just this week Dad and I received 2 letters from old friends of yours recalling some great times that they spent with you and they wanted us to know what an impact you had on their lives. One letter we received said that she had children of her own and just hoped that some day they might grow up to be the kind of person that she remembers you as being. What a wonderful tribute to the fine man that you were. You touched so many people and I'm sure that you had no idea of how others thought of you. I know that I kissed you and told you how much I loved you every time I had the opportunity to, but I wanted to say it to you today again. 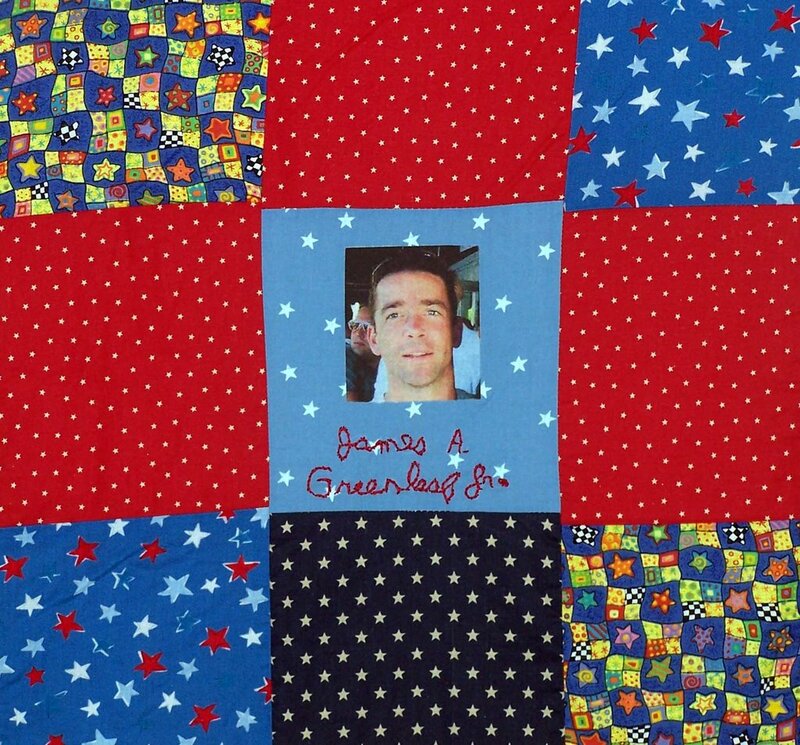 The James A. Greenleaf, Jr. Memorial Scholarship Fund has been established to honor and remember a dear family member and friend who lost his life as a result of the catastrophe which occurred in New York City in 2001. The fund will be used to provide financial assistance to students attending St. Bernard High School. 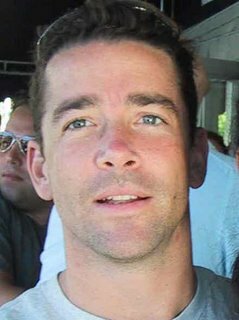 Dave McBride also hopes to help others by honoring the memory of his long-time friend with the 5th Annual 5K River Run For The Fund. The race, which takes place this Saturday, May 13th at Ocean Beach Park in New London, is part of the Greenleaf Memorial Foundation, which also incorporates an annual Golf Tournament and a Memorial Dinner. McBride and James Greenleaf were best friends since high school, graduating from St. Bernard in 1987. 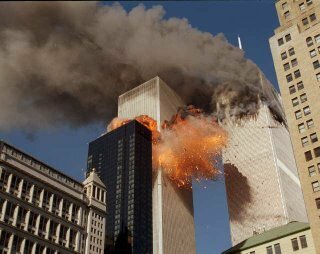 Sadly, Greenleaf lost his life because of the terrorist acts that occurred as he was working in New York City on the morning of September 11th, 2001. In a tribute to Greenleaf, his family and friends created the James A. Greenleaf, Jr. Memorial Scholarship Fund, Inc., with proceeds used to award full book scholarships for 8th grade students to attend St. Bernard High School. The organization received approximately 30-40 scholarship applications annually, which require a formal essay and teacher recommendations that are reviewed by the Foundation’s Board of Directors. The fund also hopes to increase its scholarship offerings either to St Bernard students or other local students who will be attending college. Leave a message in honor of James Arthur Greenleaf Jr.
From: Maureen Griffin Balsbaugh Date: 08/29/2005 Message: At every one of your events. We know you are there in spirit....laughing. Thank you for posting information on Jim Greenleaf. We went to high school together. During the three years, we played football and ran track together. We ate many lunches together. With my return to the US in 2007, I have been able to attend the annual golf outing twice. The outpouring of help given by friends of Jimmy is very inspiring. His scholarship is helping many children attend St. Bernard H.S. PS As an aside, we lost another high school friend that day, Eric Evans. He was in one of the towers when they fell. Both gone but not forgotten. Jim Greenleaf, rest in peace.